COMSO, Inc. was sold to Ms. Jacqui Magnes on April 28, 2017, ending a successful run of 29 years under the leadership of Ms. Margaret Mix. COMSO will continue as a 100 percent woman-owned small business with the same legal name. Margaret Mix, COMSO’s founder and CEO/President since 1988, is retiring after a long illustrious career and has handed the keys over to Jacqui, who will lead COMSO into the future as owner and Chief Executive Officer. Upon meeting Jacqui Magnes for the first time, you might experience a change in the atmospheric pressure as she fills the room with her energy. Then at some point she zeroes in with her intense concentration and quick observations, powering everyone in the room through the preliminaries and into the work at hand. And you begin to feel yourself energized. 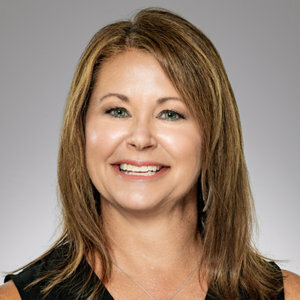 Jacqui will be taking on the role of CEO and owner of COMSO, Inc., and energy and intensity and focus are extremely powerful qualities in a leader. Jacqui brings with her over 25 years of business experience that ranges from sales and marketing, ecosystem analysis, leadership, account management, strategic planning and execution. She has been on teams that have led innovation and change within a large corporation. She has been recognized with various awards for her leadership, ability to identify business opportunities, transparent communication style, and execution excellence. Jacqui has more than 20 years of experience with Bristol-Myers Squibb. She’s had proven success in the sales and marketing of a large portfolio of brands with key customers and clients. She has led initiatives to “challenge the status quo” while maintaining and expanding business with nationally recognized clients such as Johns Hopkins Hospital, one of her largest clients. Jacqui’s most recent role at Bristol-Myers Squibb has been in Value Access and Payment in the Channel Patient Access Support System. Her role has included managing all aspects of a geographic ecosystem: payer policy, customer service excellence, coordination with a third party-contracted IT group, integration of the field-based team, training, and leading the communication and coordination across the diverse matrix team. Jacqui’s role included extensive business ecosystem analysis, strategic planning and management that allowed for a nimble approach to adapting to the pending changes with the FDA, Center for Medicare and Medicare Services (CMS), healthcare reform, federal policy, and the ongoing and ever-changing political environment. Jacqui’s previous experience includes managing the sales and marketing operation of Integrated Diagnostics, a small biotech company that produced and marketed diagnostic test kits and disease state plasma. Her experience included sales, marketing, international relationships and distribution, budget management and analysis of operations. Jacqui started her career as a Medical and Research Technologist working in the Microbiology and Hematology Laboratories at St. Agnes Hospital in Baltimore, MD. Shortly after, she transitioned into medical sales selling respiratory therapy products. Her “research” foundation is demonstrated in her ability to identify and develop new business opportunities. Jacqui graduated from the University of Maryland at Baltimore with a Bachelors of Science (BS) degree in Medical and Research Technology. She later received a Master of Science (MS) degree in Marketing Management and a Master in Business Administration (MBA) from the University of Maryland University College. Jacqui has also taken numerous corporate courses in leadership, customer service excellence and management. She lives in Ellicott City, Maryland, with her husband of 22 years and 2 teenage daughters. Margaret Mix has always said that first you need a plan and then the plan needs to change, to adjust to evolving requirements, outside impactors, risk, market fluctuations, and, well, life. That belief in a solid but flexible structure may have been the secret of Margaret’s success over the years. Margaret is a native Washingtonian with more than 45 years of experience in developing computer systems for Federal, state, and local governments and clients in industry. In 1988, after almost 25 years of software development and progressively responsible management positions, Margaret formed her own company, a decision she considers one of the best she ever made. She learned every aspect of forming and running a successful company, including being able to delegate work and decisions to respected COMSO team members. Margaret began her professional career as a programmer at a time when women in the computer industry were few and far between. Undaunted, she took on tasks that included designing and coding a computer simulation of the then-proposed Washington Metro subway, systems programming, writing linear programming applications, and developing a database management system. 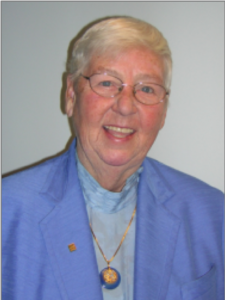 For the 12 years immediately prior to forming COMSO, Margaret held positions of increasing responsibility in senior and executive management. She led groups of more than 200 technical personnel and was simultaneously responsible for multiple contracts with more than a dozen clients. Over the last several years, Margaret has divided her time not quite equally between her homes in Maryland and Hawaii. Perhaps she will stick to her plan, enjoying the best of both locations and the good friends she has made along the way, or possibly change it as she stakes out the new ground of her retirement.